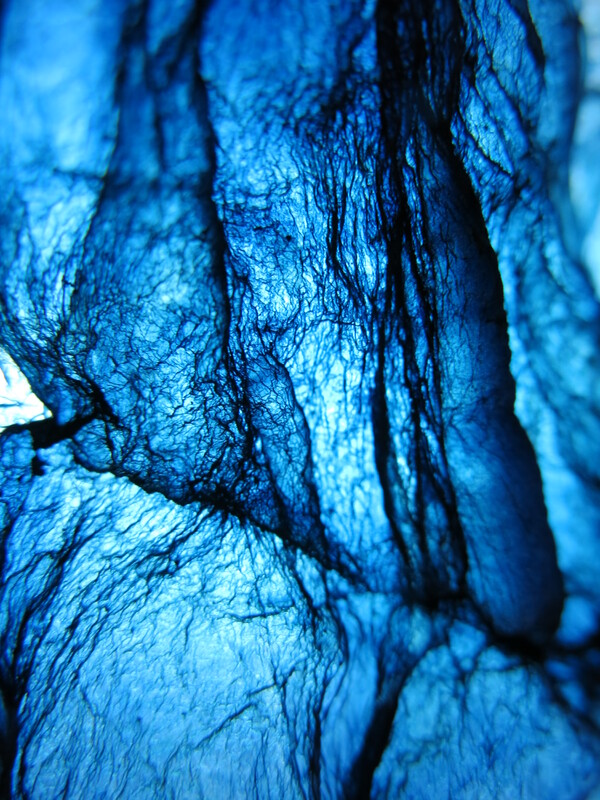 This entry was posted in Uncategorized and tagged cellulose fabric, Degree Show, growing fabric, indigo, Kombucha by sarahwaterstextiles. Bookmark the permalink. I happen to like the smell though. It doesn’t look very skin-like anymore either…is that good or bad?? Looking good lady! Love the choice of indigo. So rich and strong. That’s amazing Sarah, looks fantastic! You must have a huge choice of material to exhibit by now! Still more trials ongoing …need to choose quality not quanity now ! I may be a few years late to the party here, but wanted to drop a note to let you know how great this looks! 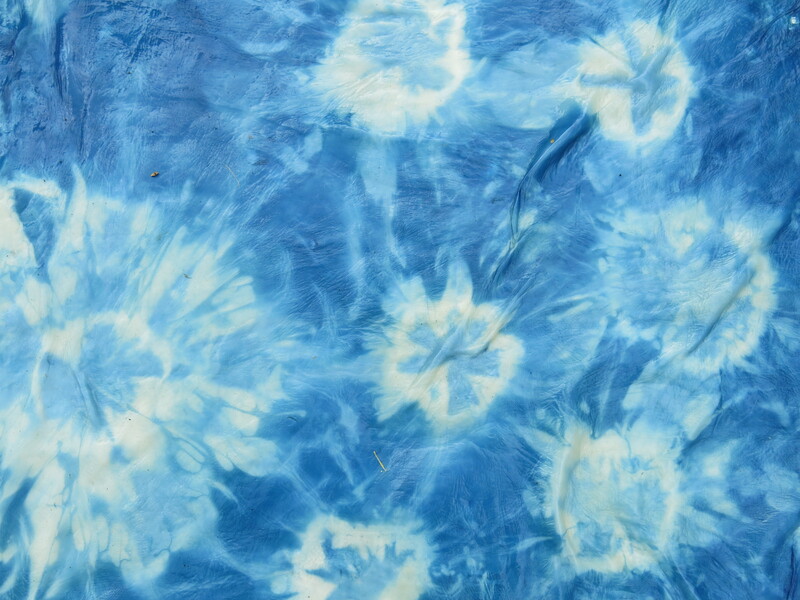 I came across your site while researching dyeing kombucha fabric. 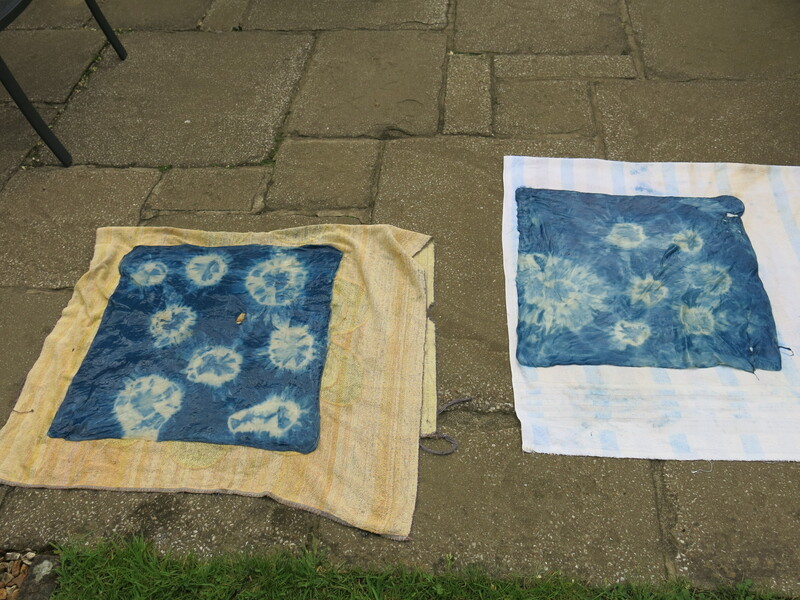 It takes up indigo incredibly well, not to mention color from rusty nail. 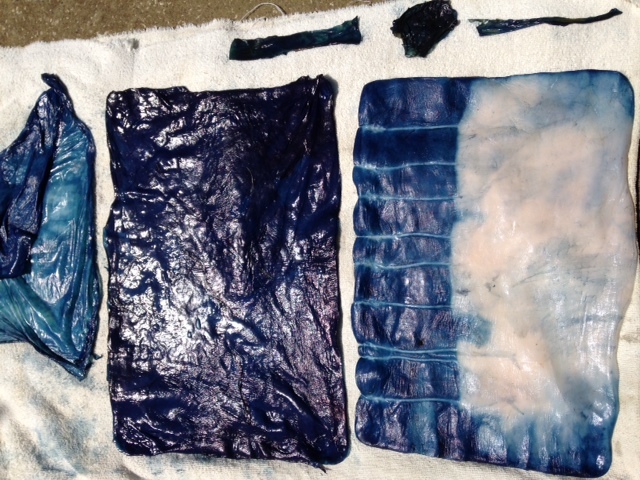 I started my own cellulose fabric this summer and wasn’t sure how well dyes would absorb. Does the color leach at all once dried? Did you have to seal it? Thanks for sharing your work. It’s for fun. I was inspired by the scoby from brewing the tea and thought I’d experiment with growing large pieces. I’m leaning towards making light sculptures with it right now. Alas, I’m in the US. Look forward to your findings on waterproofing. Cheers!